Featuring vermillion-lacquered walls and a bridge. 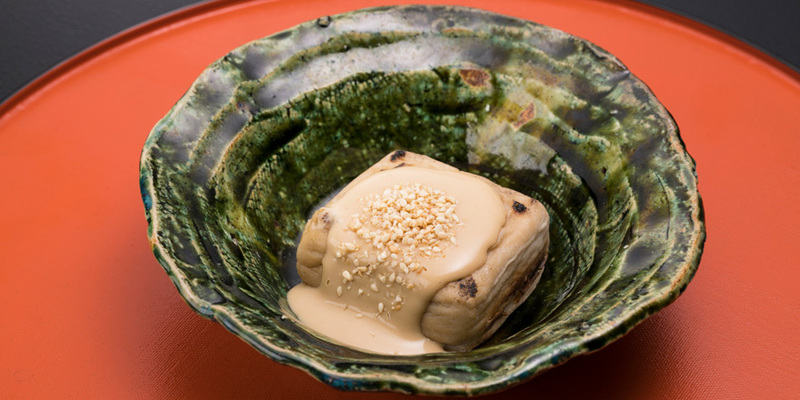 you will find yourself back in time in the town of Edo, the Tokyo of 200 years ago. 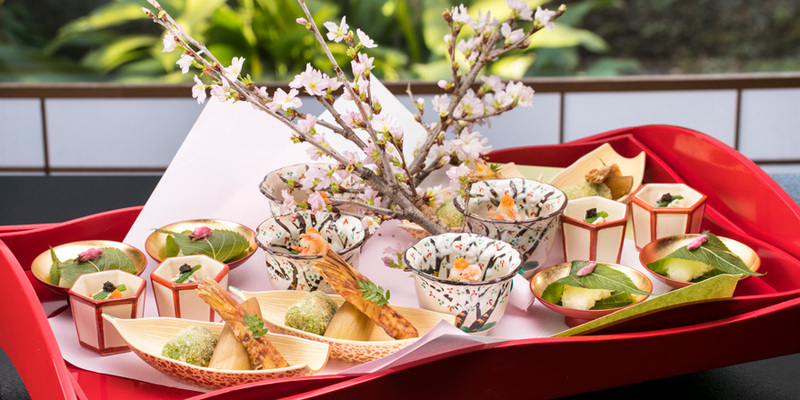 Away from your daily grind, our seasonal tofu cuisine is offered with a good view of the Japanese garden. 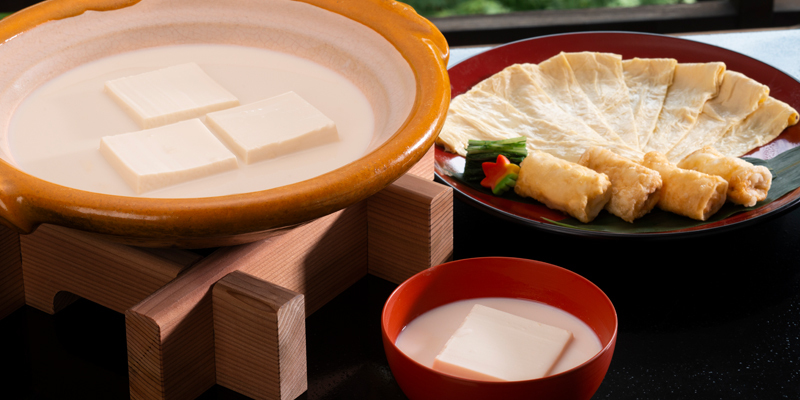 Our homemade tofu is crafted with high-quality soybeans and spring water, and has a rich and sweet taste. 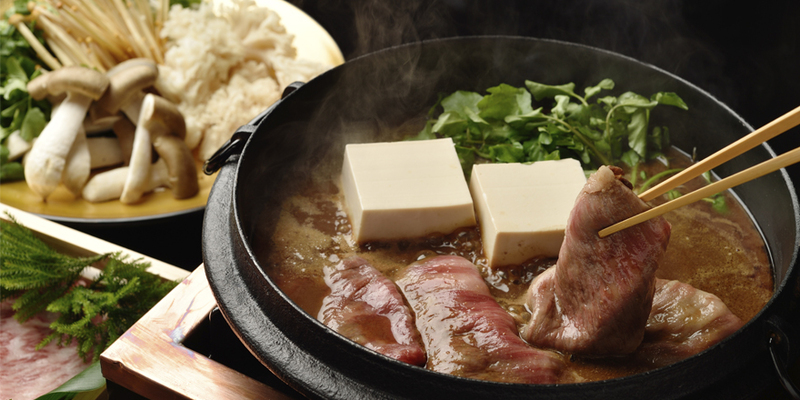 and age-dengaku, which is made by frying sliced-tofu and then cooking it with wood charcoal, are two of our specialties. 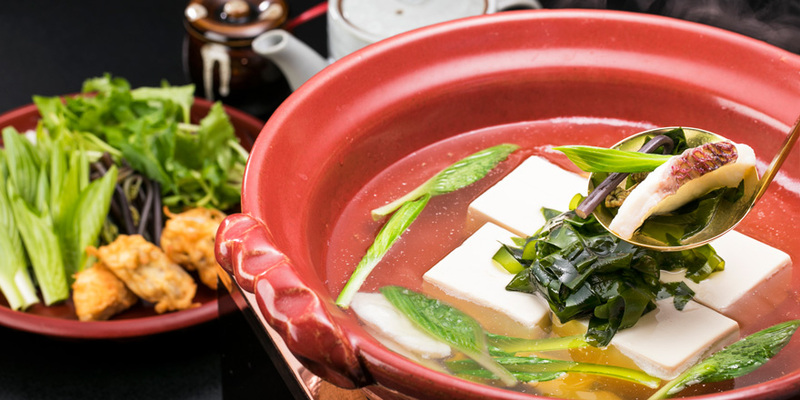 Tofu is the main dish in any course menu, and you can also enjoy seasonal seafood and vegetables. 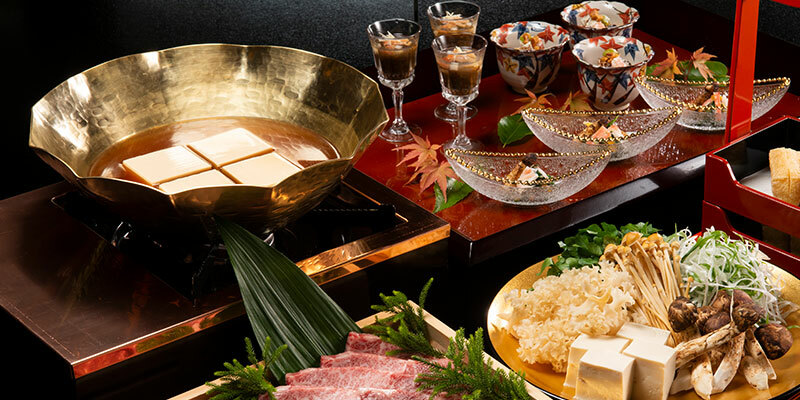 The last order for the lunch is at 2:30 p.m.
*Gift shop is open from 10:30 a.m. to 9:30 p.m.
Take a bus or taxi from Hachioji Station or Keiko Hachioji Station. Take a Keio bus (豊56, 日 50, 八 58) bound for Toyota and Hino and get off at the Ishikawa-iriguchi bus stop. 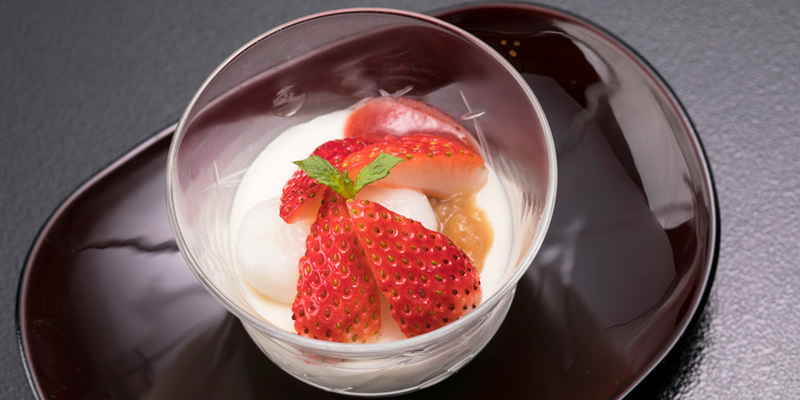 Our restaurant is located at the intersection (Ishikawa-iriguchi) in the direction of the bus route. Go across the intersection, turn left on the pavement, and you will find our entrance. Take the Hachioji IC exit (Exit No.1) on the Chuo Expressway and turn onto National Route 16 in the direction of Sagamihara. and then turn left at the Ishikawa Iriguchi intersection. Ukai is on the right-hand side. and turn right onto National Route 16 at the Sanyubashi intersection in the direction of Shinjuku. and then turn left on the Ishikawa Iriguchi intersection. Ukai is on the right-hand side. intersection of Owada 4-chome and Koshu-kaido (National Route 20), and then turn left on the Ishikawa Iriguchi intersection. Ukai is on the right-hand side.